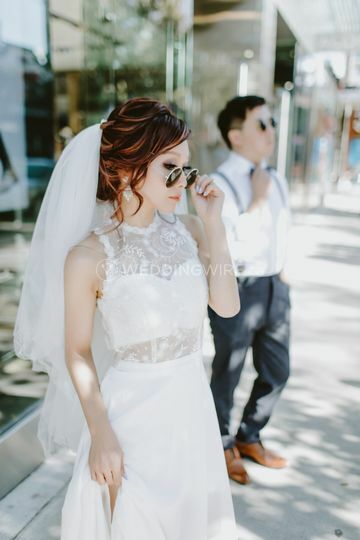 Momo Liu Makeup & Hair Studio ARE YOU A VENDOR? 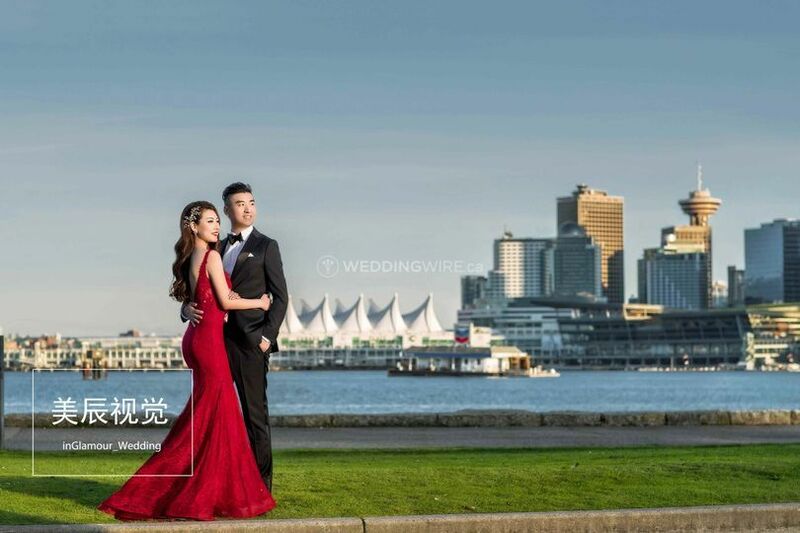 Located in Richmond, British Columbia, Momo Liu Makeup & Hair Studio is a company that specializes in makeup artistry for weddings and events. 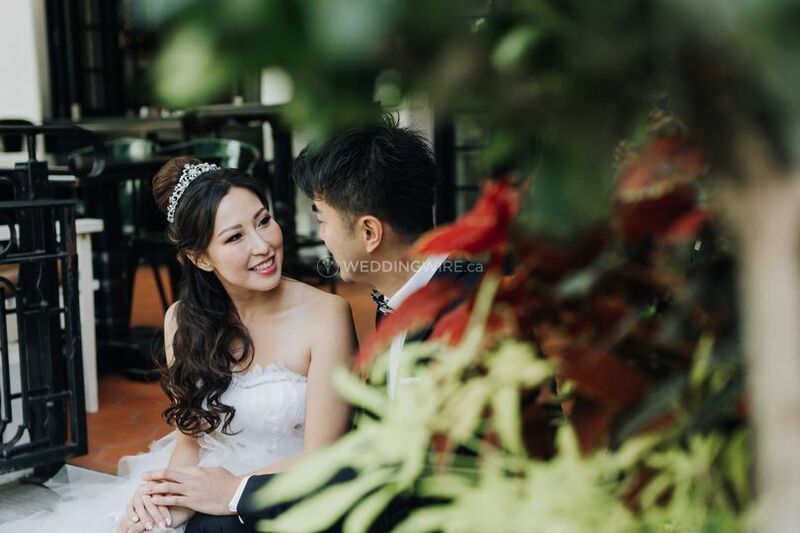 Owner, certified makeup and hair artist Momo Liu with more than 6 years experiences, uses trends and different techniques to amplify your natural beauty, ensuring you look flawless and perfect in every photo and video taken on that day. Passion, learning and practising will bring great makeup artists. Team members will bring you high level of expertise with reasonable prices. Momo is professional and an excellent make-up artist. 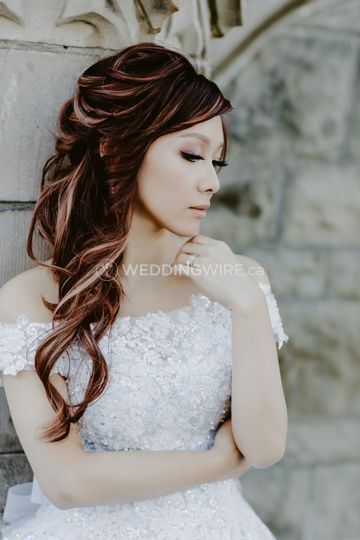 We hired her for my wedding in November and I received many compliments on my make-up and hair. My mom and maid of honour looked amazing too! Momo is also a pleasure to work with and I would highly recommend her services. Momo is by far one of the most talented and patient makeup artists I’ve ever met (and I’ve tried a few over the years, not just for the wedding in particular). 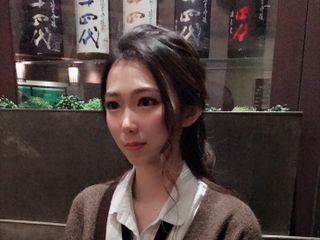 I wear makeup on a daily basis and had a good idea of exactly what I wanted, so it was very difficult finding someone who could execute the desired look. 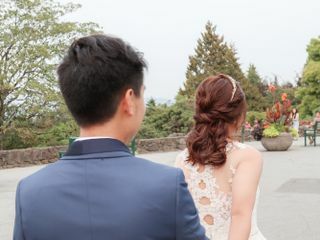 There are only so many makeup artists in Vancouver who are able to do makeup on Asian features well and I think Momo is definitely one of them: she took a lot of time and care in making the base flawless, enhancing the eyes, and bringing a healthy glow to the face. She had no problem changing any aspect until I was fully satisfied as well! 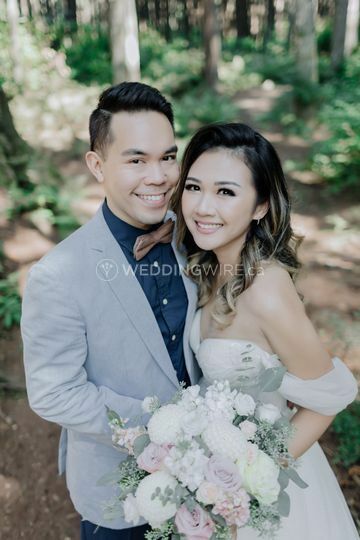 On the day of, we hired her to come back after the bridal party pictures for touch ups and not only was she on time, but she went above and beyond to help me the whole time she was there! She carried my train, fixed my dress when it didn’t look right, and was very comforting! Thank you so SO much, Momo! You’re the best and I hope that I’ll be lucky to have you do my makeup once again :). 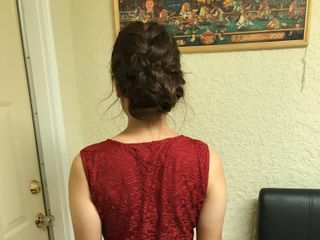 Momo is amazing, she's the best makeup and hair artist ever, I absolutely love my bridal look. Highly recommend! Best make up artist ever! 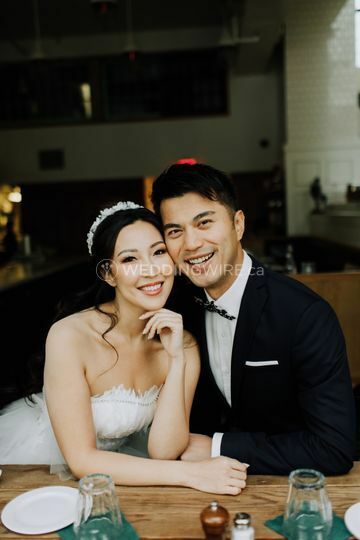 I was so lucky to have momo did my make up on my wedding day! I trust her super skills.she just got the right look for me, she is creative and she also knew exactly what was photographer needed! 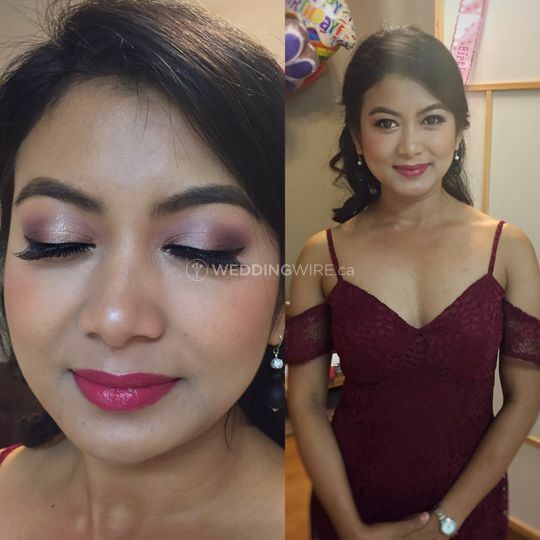 She did a wonderful job on my wedding day, I love she use all high quality beauty products, she did my makeup and also my husband’s.we were impressed by makeup results and we received many compliments that day. 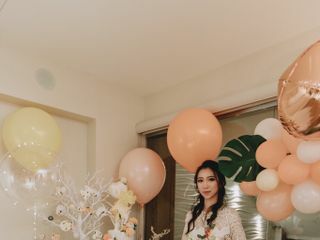 I highly recommend her to all my friends, She is easygoing, friendly and professional, if you want a wonderful wedding you can't miss a perfect makeup artist! We would highly recommend mono as a wedding markup artist. 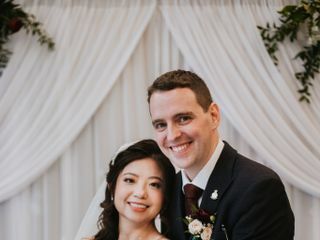 Although I was sick as naturally looking pale on my wedding day, her work covered all the imperfections and made me feel grougious through the whole day! 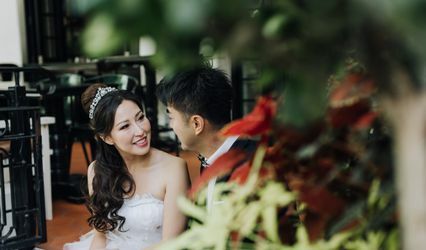 She has a wonderful eye for color, respectfully listens to your requests, and always on time and ahead of schedule for both our trails and wedding day. 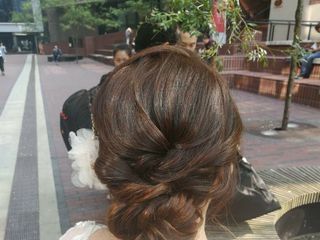 I would like definitely to go back to her for markup of other occasions in the future!